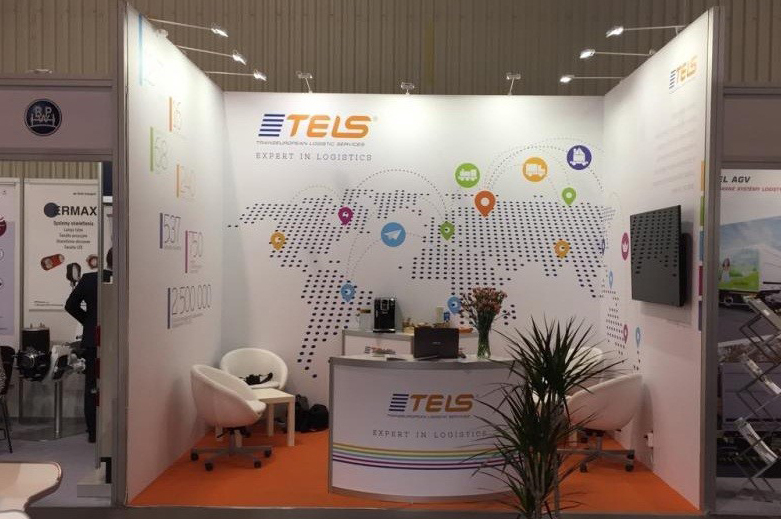 In November 2017, TELS Group of companies participated as an exhibitor at TransPoland exhibition in Warsaw. This year the exhibition gathered 190 exhibitors and more than 6000 participants from 34 countries. TELS Group of companies shares the “outward” view on a number of features of the current state and development trends of the European transport and logistics services market (TLS). The current state of TLS market is characterized as a “carrier market”. First of all, this is accounted for the growth of the global economy and the increasing demand for transport capacities. Many participants sought to attract carriers. There was real hunting for the representatives of transport companies – they were actively invited to booths and were involved in negotiations. The lack of transport in the Polish market is estimated at 100 thousand units. In addition, there is an a great need for drivers. More and more transport companies in Poland see the development direction in the European market as it is easier and more profitable to work there. Given the growing demand for services within Europe, interest in working eastward is decreasing. The withdrawal of Polish TC from the eastern direction and the migration of the drivers in the western direction will result in further reduction of quality transport capacities and qualified drivers in the international and domestic markets of the EEU and Ukraine. The European transport business is becoming larger, small TCs with several units are gradually leaving the market. This is confirmed by the fact that the representatives of small companies taking part in the exhibition were seeking the opportunity to lease their vehicles to large transport and forwarding companies. A wide number of service companies offering a great variety of additional transport products and services participated in the exhibition representing exchanges, settlement systems, TMS, telematics, etc. IT and exchanges were the most active and aggressive companies. In general, the logistics industry is moving towards automation and unification of business processes. And a large number of IT companies realizing the inevitability of integrating logistics and information technologies seeks to satisfy the need. That’s why they were one of the most active participants of the exhibition. Today there are many niche IT companies in the European market offering ready products and solutions for the automation of certain areas of work in logistics enterprises. At the same time, the products are developed in a way to be integrated with other systems using universal protocols. The development of IT solutions goes in the following ways: a) the possibility for the carrier to create its own platform for joint work with customers; b) the integration of its information system into other information environments and operating exchanges. One of the main effects of IT development is the increasing transparency of TLS operators’ work, which will certainly lead to a decrease in the cost of transportation, but at the same time, it will provide opportunities for growth in the overall profitability of a business by reducing costs and increasing turnover given the proper organization of processes. CIS and Asia markets are lagging behind the progress, but they will also become more transparent. Those contractors who will not be able to provide transparency and convenience of work will be losing their competitiveness. The development of IT will also affect sales patterns – “standard” transportations will become automatic sales in a transparent competitive market; on the other hand, the demand for integrated logistics services in various directions and/or implying complex transportations will remain. The second type of sales should be carried out by field experts and qualified tendering authorities. Automation and communicative modernization also become a necessity because in the near future the information space will be represented not only by social networks, e-mails and corporate websites. In particular, modern technologies include neural networks capable of establishing active contacts with TLS consumers, making preliminary proposals to them, communicating through messengers. Robotic automation extends not only to warehousing and distribution logistics, but also to the design of logistics schemes, search for the best offer upon the request made in the global space, outside a single transport exchange. The exchanges have not stayed away from active competition for the logistics market. Despite the attractive terms of cooperation some of them offer (benefits and deferred payments for platform services), few of them have obvious advantages. For example, a unique trade offer is an offer of an exchange to provide the carrier a package of orders and work out the best transportation route for the accepted package. Certain platforms undertake financial calculations, which lifts the risk of non-payment for carriers. Transport exchanges are operating in their full capacity only in local markets, usually within the same country or in certain international destinations (e.g. Germany-Poland). They are simply present as trading platforms in the other markets exhibiting supply and demand without offering fine services. The expansion of their services can grow with the development of local units, which is currently limited, also by the shortage of qualified personnel. The European TLS market is experiencing a large shortage of drivers today. Moreover, it concerns not only highly qualified drivers but also the drivers of the required category. There is a labor migration of Polish drivers to the countries of Western Europe, where wages are higher (in Germany – 15 euros per hour, in Poland – 10). At the same time, there is a high migration of drivers from Romania, Moldova and Ukraine to Poland, although Polish employers prefer to work with drivers from Belarus. “Staff shortage” foes not only concern the drivers. The representatives of one of the leading Polish personnel web-portals announced a figure of 250 thousand, characterizing the shortage of qualified personnel in the logistics industry within the next three years. Attractive working conditions, social packages, and active recruiting activities are the tools used by international corporations to attract qualified personnel, including those from the CIS countries. The opening and development of local divisions of large multinational companies in the CIS market will become a serious test for the retention of qualified expert personnel for transport and forwarding companies operating here. First of all, head hunting will be for expert staff with great professional experience. At the same time, simple processes and transportations will be increasingly standardized and automated, professional logistics skills will play an increasingly less important role with the increasing role of communicative and technological literacy.